Some might sigh. Perhaps there would even be a roll of the eyes and with more than a little sarcasm, “Oh good, another putting book,” and they would be right…to an extent. The Fundamentals of Putting is another book about putting but with two distinct differences. 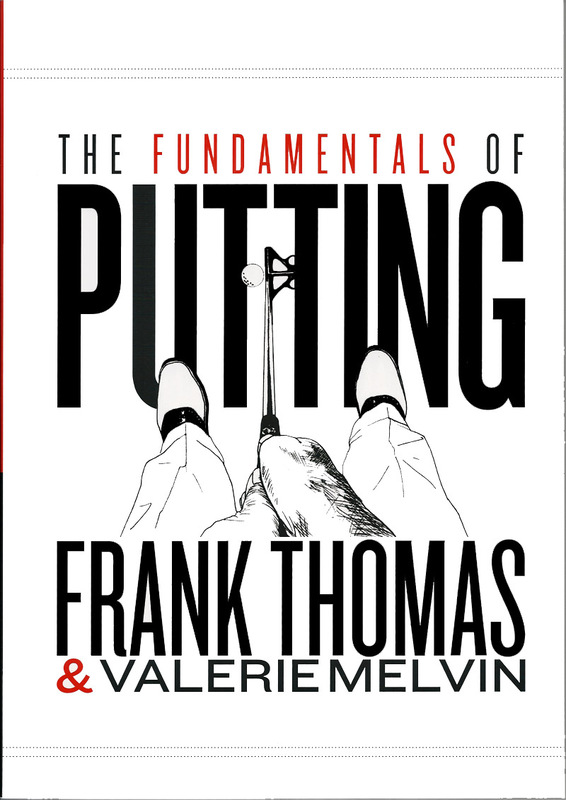 First it is written by two people who actually qualify as experts in the art and science of putting, Frank Thomas and Valerie Melvin. Secondly unlike virtually every other book on the topic this one is based on the principles of physics, kinesiology, golfer psychology and mechanics. However, and this is certainly good news, The Fundamentals of Putting does not read like a textbook. What it reads like is an instructional manual; a well-written instructional manual for someone interested in given topic but not versed in the all the complexities. The authors’ research has not resulted in another “putting method” but uncovered a set of principles to act as a guide to becoming a good if not great putter. The key to The Fundamentals of Putting is their approach. Not simply teach “how” but explain the reasons behind “why.” Many will especially find the chapters on “How to Fit Your Putter” and “Understanding Your Putter” useful. Commonly held knowledge of simple things as putter length, loft and lie is shown to be inaccurate or even wrong and the reader is shown a simple way to determine the best fitting putter. The chapter entitled “Planning and Pre-Shot Routine” demystifies the process – what should and should not be done before making a stroke to provide the best opportunity of making the ball go in the hole. Again, the “why” is explained so it makes sense. “How to Practice with a Purpose” has immediate application as well as showing a way to get back in the groove when putting touch seems to have left. Melvin played golf internationally for her native Scotland, was a founder and editor of Golf Science International magazine published by the World Scientific Congress of Golf and works with Thomas in their company Frankly Golf. Thomas also has quite a resume′. The native of South Africa decided when a young man to come to the United States by boat – his boat, a 25-foot sailboat which he sailed across the Atlantic with many character building, not to mention harrowing, incidents. While employed by Shakespeare Sporting Goods he invented the graphite shaft and eventually moved on to become the Technical Director of the United State Golf Association where he stayed for 26 years. Among his responsibilities was testing of every new ball and club for compliance with the Rules of Golf. Thomas also redesigned the Stimpmeter and pioneered its use for gauging green speeds plus he was integral in the development of the GHIN system of calculating handicaps. After leaving the USGA in 2000 he co-founded Frankly Golf with Melvin and has served as a technical advisor to the Golf Channel and Golf Digest, but he has mostly spent his time researching putting. He and Melvin also have designed the Certified Putting Instructor course to teach-the-teachers, i.e., PGA Professionals about putting instruction. 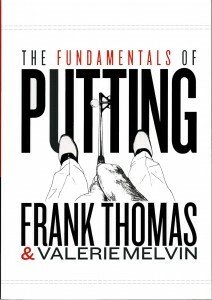 The Fundamentals of Putting is a good read and offers instruction we all can use to putt better, score lower and have more fun.